If you are a volunteer at one of the Parishes, Schools, or Ministries in the Diocese of Rochester, select the Volunteer Course in either Spanish or English. 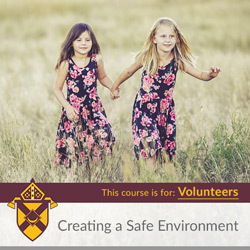 5 online courses about creating and maintaining a safe environment. 5 cursos en línea sobre temas importantes sobre creando y manteniendo un entorno seguro.